Nehemiah and Ezra worked on the Temple and city wall together. Their stories overlap yet present different some different information and points of view (like the four gospel accounts). In the past, I paid little attention to the return of the captives, skimming over the story in a rush to read through the entire Bible. In November 2013, we went to the Euro-American Retreat. During that brief time of worship with Christians placed all over the world, the ladies made time to get together. For the first time, I heard (or really listened to) the story of the rebuilding of the wall of Jerusalem as told in Nehemiah 3. That day changed my perspective of this book of history. Nehemiah’s name means “the LORD comforts.” Unlike Ezra the priest, he held a position in the king’s court during the exile. He served as cupbearer and asked for a leave of absence in order to help with the rebuilding of the Temple and city wall. The kind found favor with him, granting this request along with letters to provide safe travel (2:8). After arriving in Jerusalem, Nehemiah set about his reconnaissance mission, assessing the situation by night because no one knew of his presence or plan (that is the purpose God spoke into his heart). Once the rebuilding began, the people met opposition. They believed that God would give them success and continued the work day and night. Lesson 1: Pay attention to the things on your mind. If God put them there, He will give you the means to succeed. Lesson 2: Never cease in doing the Lord’s work. My grandparents lived this each day. When they were healthy, they walked daily at the mall. For Grandpa, this provided another opportunity to minister to others and share the gospel. My grandmother could not always walk as far as he did, but she would visit with different people in the stores and food court and other mall regulars. 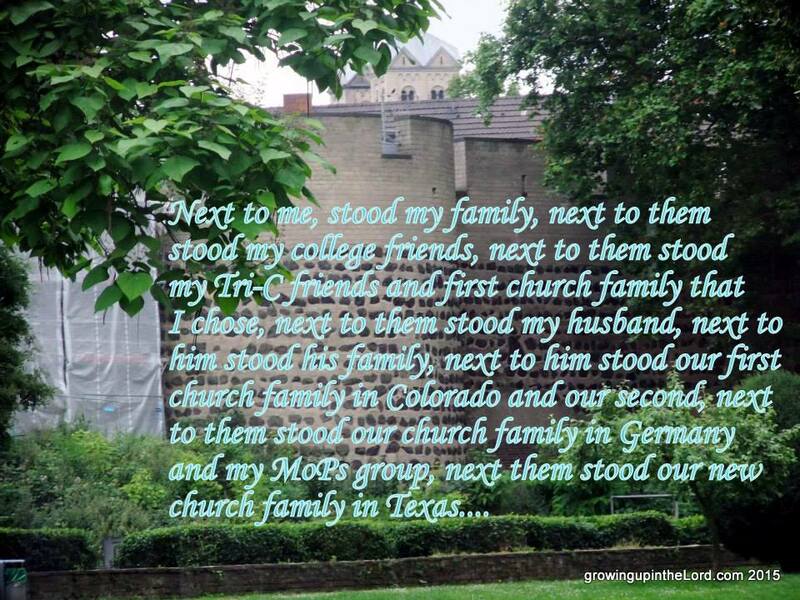 They prayed with people and even bigger than that – they followed up at their next encounter. I don’t think I was even a teenager yet when I saw this example the first time. Their example clearly made an impact. The people worked together, as family units. When enemies threatened, part of the men built the wall as others stood in the gaps of the wall armed for battle (chapter 4). They trusted that God would fight for them and stood firmly prepared for battle. Lesson 3: Be willing to stand in the gap. This may mean putting yourself in danger. Standing up for those who cannot fight for themselves is an important task. Lesson 4: Always be armed for battle. Ephesians 6:10-18 says, “Finally, be strong in the Lord and in his mighty power. Put on the full armor of God, so that you can take your stand against the devil’s schemes. For our struggle is not against flesh and blood, but against the rulers, against the authorities, against the powers of this dark world and against the spiritual forces of evil in the heavenly realms. Therefore put on the full armor of God, so that when the day of evil comes, you may be able to stand your ground, and after you have done everything, to stand. Stand firm then, with the belt of truth buckled around your waist, with the breastplate of righteousness in place, and with your feet fitted with the readiness that comes from the gospel of peace. In addition to all this, take up the shield of faith, with which you can extinguish all the flaming arrows of the evil one. Take the helmet of salvation and the sword of the Spirit, which is the word of God. And pray in the Spirit on all occasions with all kinds of prayers and requests.With this in mind, be alert and always keep on praying for all the Lord’s people. Nehemiah worked with the people and shared food from his table. He refused payment due to the governors though it rightfully belonged to him. In contrast, others around him extorted each other, forcing their own Israelite brothers into slavery to pay for food. Nehemiah rebuked them and they corrected this practice. The constant work required unity and those “exacting usury” over others caused disharmony (chapter 5). Lesson 5: Share with others. Whatever you share, God will bless. Sometimes we think we have nothing to offer. Consider the widow who gave all she had (Mark 12:41-44; Luke 21:1-4). The wall was completed in 52 days. The enemies lost confidence, finally realizing that God worked with these people and no one could stand against them. With the Temple and wall completed, the people could begin working on their own homes, resettling in the land of their inheritance. 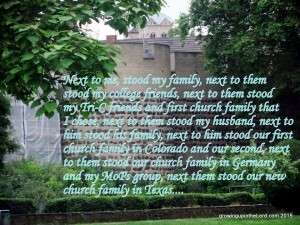 Lesson 6: Stand on God’s side, aligning your plans with His will, and no one can stand against you. When the time came for the reading of the Law, all the people gathered. All in attendance listened attentively. Traditionally, people stood for this reading, which took up to six hours! The Levites offered instruction to the people, making the law clear to each person hearing the Word. The people spend time in celebration, thanksgiving, confession, and praise. They renewed their covenant with God, vowing to keep His commands of purity (by not intermarrying, by keeping the Sabbath, by proper use of the Temple). 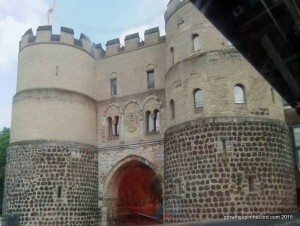 These pictures are remnants of the Roman towers, gates, and walls in Cologne, Germany. Great points and so timely as my church has been studying the book of Nehemiah as well! Neat! Hope you can take something from here back to your group! #5 is so true! I try to make a point of sharing the blessings in my life to encourage and inspire others in their dialy walk with Jesus! Danielle recently posted…7 Quick & Healthy Breakfast Ideas to Stay Fit! That is wonderful! Blessings don’t have to be physical things either. Inspiring and teaching others may be the “food” you are called to provide. Thanks for stopping by! The story of Nehemiah is beautiful. Thank you for sharing what God has laid on your heart! The imagery of rebuilding something so broken is a lesson that can speak to most people, if their hearts are willing to hear. Thank you for stopping by! Love how you brought to life the life of Nehemiah!! I am delighted that you enjoyed it and found encouragement! The things of our mind and the way we talk to ourselves is of utmost importance. It’s hard for me at times to decipher the Spirit’s convictions vs. Satan’s lies. Time with the Lord will usually make that clear! Roxanne recently posted…Where is your Faith? VERY true. Humans are able to convince ourselves of anything! Thank God for His Spirit! Amen! Thanks for sharing these wonderful insights from Nehemiah. I will remember #1. He has given me a dream and I would like to pursue it. I am glad you found encouragement here. I will be praying for you, that you discern God’s direction for your dream. I’ve always thought Nehemiah was a special employee for the King to notice his downcast spirit and then be willing to give him what he needs to help build the city gates. I’ve always loved the story, but did not know the meaning of his name. Love that. Not only for the king to take notice, but to grant each of his requests! I have the NIV study Bible, which gives several insights like meanings of names, occupations, timelines, etc. Thanks for filling in some gaps about Nehemiah’s story. He was quite a brave man too, asking the King to go back to rebuild a city that had a pretty bad reputation with the previous kings of that area. Nehemiah was bold and brave to ask the king to return to Jerusalem. 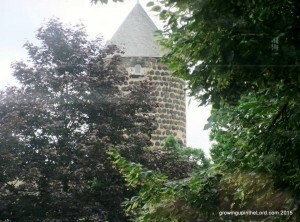 Even prayed, even as he asked the king – I think we “forget” to pray through each step of what we are building. Great lessons, especially the part about listening to what God puts on your heart. Thank you for stopping by. I am grateful for your encouragement, even as you were encouraged. Beautiful! The book is filled with many encouraging morsels, isn’t it!? These are great lessons. Thank you for sharing this post with us. Melanie recently posted…I Am A Woman. I Am Beautiful. Glad you enjoyed them. Thank you for stopping by! You would fall under “college friends” – I used very broad categories.